PROJECT: Run With The Moon is a full moon once a month series dedicated to celebrating Roots music in Oakland, California by Kit Center and Desiree Cannon. The night is hosted at a very unique venue, The Starline Social Club, which is the former site of a historic saloon space. 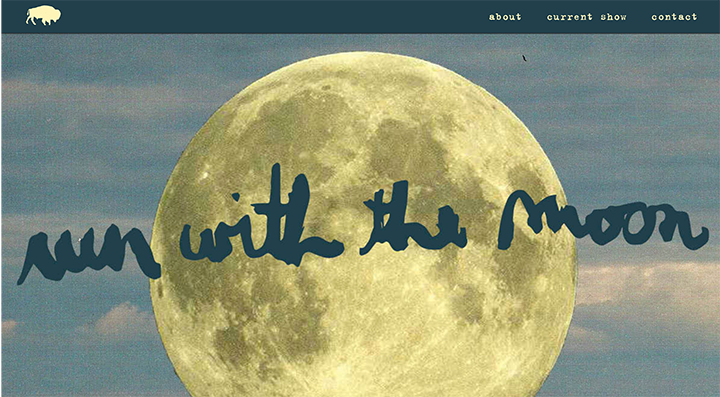 Kit wanted the website to have an analog feel to it and to feel like the night, the music and the venue. I was contracted to develop a WordPress driven website and provide art direction to help Kit create his vision for the site.